Short story collections are always a hit or miss for all of the stories inside. I’ve never read a single Edgar Allen Poe but I’ll remember to read his novels instead of short stories, then. I never read these particular Poe pieces, but he’s one of my favorites. He never struck me as the type to be particularly meant for longer works of fiction, and if I recall his novels were not received well. I would suggest his poetry and short stories that aren’t interconnected. 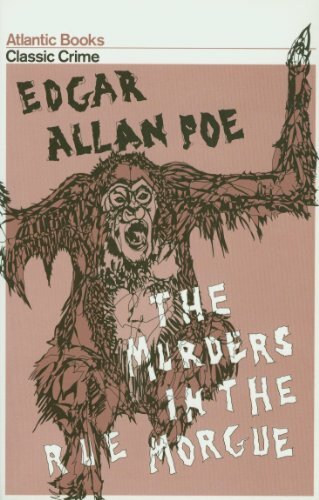 The Tell-Tale Heart, The Black Cat, The Cask of Amontillado, The Fall of the House of Usher, and my personal favorite The Masque of the Red Death are all his best and most famous short stories. He shines when he’s telling random macabre stories. As far as poems, The Raven is popular for a reason, but my favorite is Annabel Lee, which if you’ve watched Holes it was recited in part in that movie. It’s a beautifully sad love story. Sorry for writing you an essay. But, I do hope you give Poe another chance. He’s not or everyone, and some of his stories do drag, but he has a talent for building tension if you like that sort of thing. That’s no problem, I love an essay on things people love! I do still want to read The Tell-Tale Heart – I’ve wanted to read it since watching an episode of The Simpson’s years ago which referenced it.